So you finally decided to do something about your spare time, and put it to good use. You probably realized that watching TV or gossiping over the phone will do you no good. And then you began your search for the hobby that will both interest you and help you grow as a person. Something that will instantly seem like it has always been your passion, but you just never realized it. And your search seems to have ended… In fact it has probably ended even before it really began; and that’s simply because you found that there’s one hobby that’s precisely everything that you were looking for – perhaps even a bit more. Maybe you still tried to search some more, just in case you find something better. But you only discovered that there’s no other activity or hobby than even comes close to it. I doubt if anyone reading this couldn’t figure that we are talking about the age-old art of sewing, which is something many embrace as a hobby, and some as a lifelong learning tool that will teach them skills well beyond making a garment. But wait, there’s a catch! Sewing may not turn out to be as easy as some people make it seem on the Internet, especially if you’re a complete beginner. You will need a lot of determination to begin with. Oh, and before you think of it, an expensive sewing machine isn’t going to work as a shortcut to sewing success. Being willing to put in some serious effort, though, certainly would. But I’ve got some good news for you. 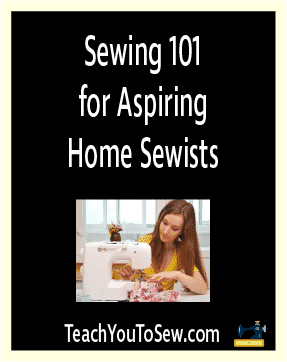 While learning to sew like you have been doing it right from when you were born could have been a lot more easier and smoother process, it actually isn’t because there don’t seem to be many “complete” resources for newbies looking to become sewing experts. There’s some good information out there, but it seems to be scattered all over the Internet. And here’s where we come in. Unless you have been into sewing for years, there’s no way you know everything you need to know about choosing the right sewing machine. Also, there’s a difference between the best sewing machine in general and the “right” or best sewing machine for your needs. If you walk into a store or head over to an online shopping website without knowing much about what to look for, you will be overwhelmed with the options shown to you, and likely end up choosing one that’s far from what you needed. Basically, things may come down to your skills, budget and the type of projects you plan to work on. For beginners, a basic, inexpensive machine is going to be a good choice, while some of the more experienced sewers would want to go for something that comes with a lot of bells and whistles, is very durable, and offers many specialized features. But there’s a lot more to it, and you need to know all that in order to be able to choose the right sewing machine. 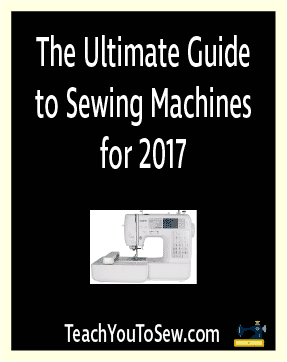 And you can find all that in this one detailed post: Sewing machine guide! You would be very close to producing your first piece of garment once you get the right sewing machine, but you will still also need to get the right tools. Needless to mention, you certainly aren’t going to need all types of sewing tools out there to just start to sew. So what do you exactly need? 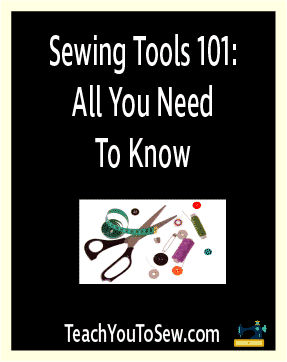 Find out in this post right here: Sewing Tools You Will Need and What They Are All About! After getting their brand new sewing machine and a bunch of sewing tools, many newbies would excitedly hit up sewing forums, only to find that the people in the know there seem to communicate in a different language. 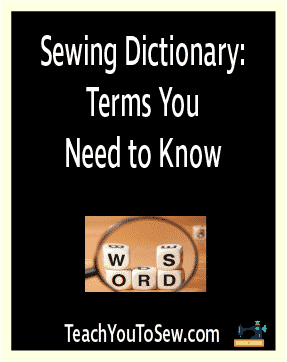 In other words, experienced sewers use a lot of technical sewing terms that you may not understand, which may make it difficult for you to communicate with them or learn from them. Hence, you would want to get familiar with these terms to be able to get help from people who are already where you want to be. It can get overwhelming for a beginner sewer when they walk into a fabric store and find rolls of different types of fabric all around them. However, most of them are going to be a basic type of cotton, or calico, as sometimes called in the sewing world. Despite the most common type of fabric being the basic cotton or calico, you’re going to find an overwhelming variety when it comes to the colors and styles. Ranging from “baby” styles to seasonal prints, everything would have a purpose, but you need to be knowledgeable enough to understand it. It’s surprising how many sewing newbies pay little attention to the thread that they make their sewing machine to work with. Sure, buying the right tools and fabric will have almost set you up for some good sewing, but it certainly won’t be complete without the right thread. And with the huge variety of machine threads out there, it’s certainly doing to be no easy task. While the color is one important factor, many fail to understand that the thickness of their fabric or stretch can be just as important, if not more. 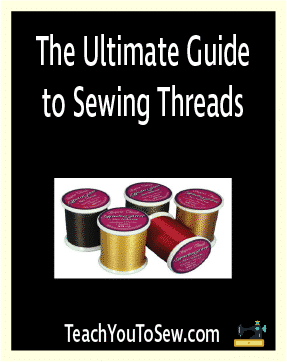 So make sure you do spend the time to go through our complete guide to buying the right thread here: Ultimate Guide to Sewing Thread. Weren’t you waiting for this the whole time while reading everything we discussed above? Well, apparently those who jump right into the actual sewing stuff end up encountering a lot of issues, which can obviously get daunting and make them give up on the idea. 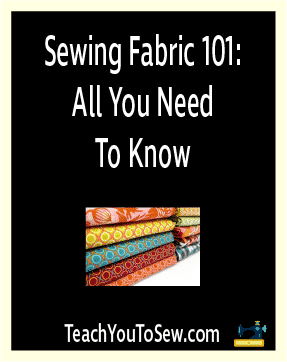 But when you absorb all the information mentioned above and the articles we linked to up till this point – and follow all the things they talk about – you set yourself up for a perfect sewing experience. Or rather, a perfect learning experience. And when you take the first piece of cloth in your hand that you will put your creativity into, the first task would simply be to sew a straight line. Of course, it’s not going to be as straightforward as it may sound initially, but you’re going to be surprised at how good you get at it once you get the hang of it. Learning to sew a straight line is a good first step, but it’s nothing to write home about; you won’t be able to do much sewing with it. And that’s why you would want to take it up a notch by learning to sew zigzags as well. 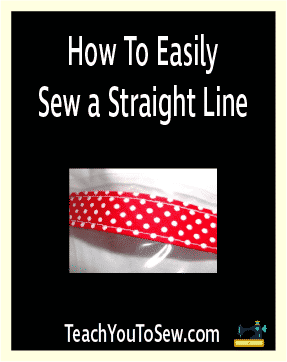 A zigzag line offers many benefits, including a sturdier sew that helps hold the cloth tightly, prevent fraying, as well as being used in some advanced sewing tasks. 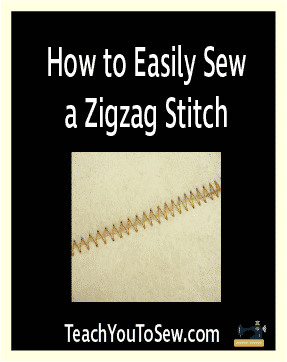 While a good sewing machine with some advanced features would go a long way in making the task of sewing zigzags just as easy as sewing straight lines, but there’s always going to be a bit more to it. Apart from changing the option from straight to zigzag on your machine, you will need to work on being able to adjust the width and length as needed. The manual you get with your machine is likely going to come in handy. When you reach this point, you will have come a long way from not knowing a thing about sewing to being able to do basic sewing tasks. However, it’s at this point when you would have to take your efforts to a whole new level, in order to learn advance sewing skills that you will be proud of. Fret not, though, once you get the concept behind these advanced sewing tasks, they will get as easy as most basic tasks. 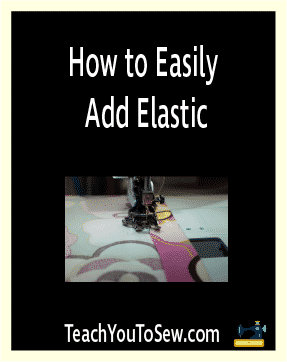 Now, coming back to adding elastic, it’s something that can help you sew things like a pajama, or just about anything that could do with some elasticity. Basically, it would involve a hem and sewing straight lines. Have some pins and safety pins handy, and then refer to this post: How to Easily Add Elastic. A zipper is usually a crucial part of many amazing sewing works. It adds a lot of practicality to your work, and learning to add it is certainly something you couldn’t call yourself a good sewer without. Now, the first step here would be to buy the right zipper. There are various kinds of zippers, of course, just like pretty much every other type of sewing accessories. The Polyester ones are the most common, and the ones you should be going for unless you have a specific need. Depending on your preferences, though, even other materials such as metal and things may appeal to you. You would find them all stored in a very organized way in the notions section of a store. While you’re also going to find a whole lot of different colors there, something more deserving of your attention would be the zipper length. It’s something you must get right, or you would risk messing up your project. 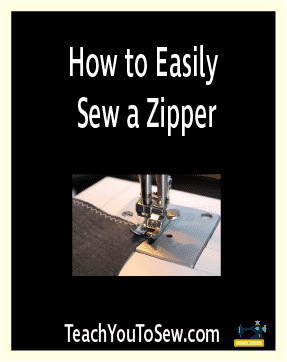 Worry not, though, we have covered the whole process of adding a zipper in this post: How to Easily Add a Zipper. Not many people buying a sewing machine bother to go through the manual they get with it, but I highly recommended you to avoid that mistake. The manual can help you get familiar with your machine, and you would probably be surprised at how much work your machine can do on your behalf. But it varies from machine to machine, which is yet another reason to take the manual seriously. And why am I telling you all this now? Simply because when it comes to buttonholes and applique, you will find yourself relying on your machine more than you would for most other tasks. Find the buttonhole, know how to use the Sensor option (if your machine has it, that is), and watch the magic – your machine making a buttonhole for you of exactly the size you want. An applique is similar but more challenging for beginners, and you will constantly find yourself running out of patience. At the end of the day, though, patience is what’s going to help you learn the art of appliqueing. But if you’re determined to learn, we are determined to help. So here’s an extremely detailed guide we have put together on this topic: How to Easily Sew Buttonholes and Appliques.